Netflix has today rolled out an updated version of its iOS app, making it easier for its users to, you know, go on a binge watching stream. The update Netflix app (version 11.12.0) brings improved playback controls, and the much-awaited ‘next-episode’ button. It is also worth pointing out that Android users were the first ones to get a taste of these control buttons. The updated interface, as you can see, now shows forward and back 10-second buttons. You can also top on either sides of the display to control this. Previously, tapping on the display would zoom into the screen. I am glad that it’s been changed as I am used to the tapping gesture on YouTube app. In addition to the playback controls, Netflix has also added a row of buttons at the bottom. 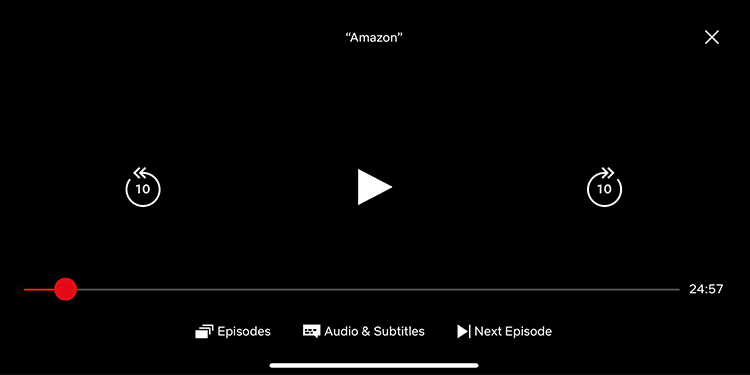 Similar to the desktop or the TV version of Netflix, the iOS app now has a button to reveal Episodes list, Audio & Subtitles menu, and a ‘Next Episode’ button. All the options are self-explanatory, and there’s hardly anything new if you’ve used Netflix on TV or desktop before. But getting them on your phone makes it much easier to binge watch through your favourite shows and movies.